In the heart of Chesterfield, these stylish and contemporary serviced apartments feature free wireless broadband internet access, a complimentary continental breakfast and free parking. On the west side of the historic market town of Chesterfield, The Maltings Serviced Apartments are set in the newly built Bradbury Place development. Conveniently located close to the town centre, the apartments are within easy reach of everything that the town has to offer, from the large open-air market to fashionable shops and a full range of restaurants and bars. The location also means that the apartments have excellent transport links and good access to the region's major roads, with the M1 motorway just minutes away. The stunning natural beauty of the Peak District National Park is within easy reach. Each of the attractive, modern apartments has an open-plan living/dining room, a fully fitted kitchen area, a comfortable bedroom and a well-equipped contemporary bathroom. 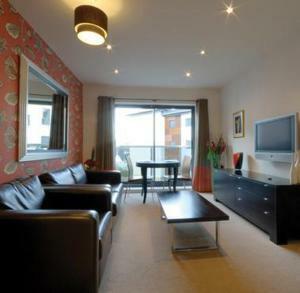 Each apartment has a flat-screen TV with Freeview digital channels. A continental breakfast is included in the apartment. With all the freedom, independence and convenience of an apartment, The Maltings makes a great-value alternative to traditional hotel accommodation. Boasting a peaceful location in the beautiful Peak District, this enchanting property, dating back over 100 years, has been extensively refurbished to offer modern comforts whilst still maintaining its period features. Named as one of the best independent hotels in the Peak District, The Maynard occupies a privileged position, immersed within an area of outstanding natural beauty, and yet easily accessible; it is only 13 minutes from Sheffield by train (you can hop off at Grindleford station, a couple of hundred yards from our door), and within easy reach of the M1 and A57 Snake Pass by car. The views from the garden, restaurant and bedrooms are stunning, and may leave you wondering if you're miles from civilisation. As such, the hotel is the ideal base for for walkers, ramblers and climbers, with a wide choice of walks, routes and climbs of varying distances and degrees of difficulty. Just off the A610, on the way into Ripley, the hotel offers great value, with free parking and spacious, modern air-conditioned rooms. The Premier Inn Ripley has a convenient location, less than a mile (1.6 km) from the very heart of Ripley's town centre and with good access to the region's major roads. The M1 motorway is within easy reach. 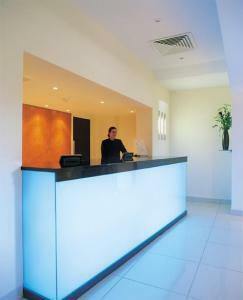 The hotel has a 24-hour reception desk and some rooms can take 2 adults and up to 2 children (under 16 years). The 2 children also get a free full breakfast when accompanied by an adult eating a full breakfast. An all-you-can-eat buffet breakfast is available each morning and includes the expected cooked items such as scrambled, fried, poached or boiled eggs, and pork or vegetarian sausages. There is also a wide continental selection. The on-site Table Table restaurant offers a fresh new twist on eating out. 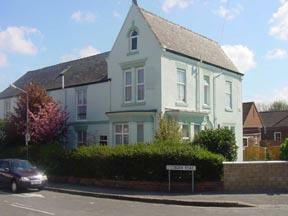 This bed and breakfast accommodation is located 2 minutes from junction 29a of the M1 corridor. 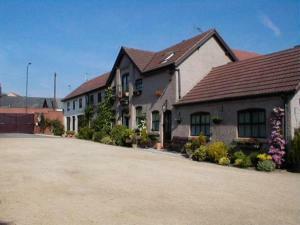 Markham Vale Guest Lodge is ideally situated for Markham Vale Business Park. Nearby tourist attractions include Bolsover Castle, the historic market town of Chesterfield and the Peak District National Park. The Cavendish Hotel, originally the famous Peacock, is located on the Chatsworth Country House Estate in the heart of the Peak District. 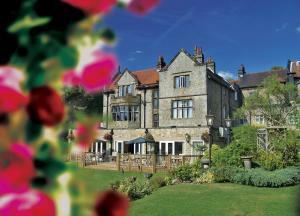 The hotel is steeped in history, with perfect views and peaceful surroundings. Throughout the hotel you will find open fires, oak beams, antique furnishings, fresh flowers and friendly staff. And yet this oasis is located just 15 minutes from Sheffield and 20 minutes off the M1. With free Wi-Fi, free on-site parking, high levels of comfort and a focus on service, the International Hotel is the ideal hotel for your stay. Within walking distance of Derby city centre and the new Westfields shopping centre, the International Hotel is ideally located. The Thyme Restaurant and Bar has received superb reviews from the local media and is very popular with hotel guests and non-residents. The menu is from Head Chef Jean Guy Desaubin, who prepares wholesome, modern world cuisine. The Peak District National Park, Alton Towers, Chatsworth House, Haddon Hall, Calke Abbey and Donnington Park are popular attractions in the area. Following it's ?1million refurbishment this newly awarded 4 star property is set on the doorstep of the Peak District whilst being minutes away from the city of Derby, making it ideal for business or pleasure. Set in six acres of grounds and having 46 bedrooms decorated to a high standard this hotel combines the finest traditions of warm hospitality with excellent food and service. The setting of the hotel is great for guests wishing to unwind and relax whilst taking in the stunning views over the Derbyshire countryside. Originally built as a Victorian country mansion by the Strutt family, the house has been lovingly restored to the highest standards. Whilst offering every modern convenience, every care has been taken to preserve the character and charm of the original features. The impressive conservatory restaurant is situated in the rear gardens, surrounded by rhododendrons and established trees. A fabulous place to enjoy breakfast before going out and exploring the Peak District attractions such as the wonderful Chatsworth House or have dinner in the evening after a fun packed day at Alton Towers which is located just 45 minutes away. The Lion Hotel is situated in the centre of one of Derbyshire's most historic towns - Belper. The hotel provides an extremely high level of comfort and service. It was here that Jedediah Strutt established the first cotton mill in 1776 using power from the River Derwent. The hotel's frontage dates from this period and has been totally refurbished. Amenities available at The Lion Hotel in Belper include: 22 en suite bedrooms, including a deluxe bridal suite, 2 bars, and a relaxing lounge with a la carte restaurant. 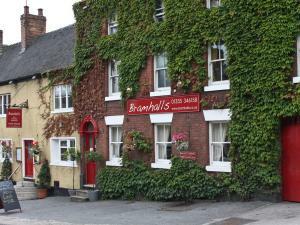 The Bear Inn is one of the oldest and most renowned inns and restaurants in Derbyshire, established in 1735. It overlooks miles of countryside and serves Real Ales and pub food. 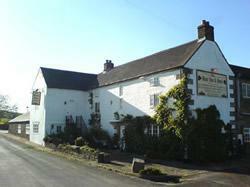 The Bear inn appears in the Good Pub Guide and various other 'good guides' in the Derbyshire area. It has 10 rooms including 2 self-contained cottages overlooking the Derwent Valley. Set in a conservation area overlooking a brook in the heart of Derby, these contemporary apartments bring tranquillity to the modern urban life-style. Behind bright floor to ceiling glass, these interior designed, individually styled one and two bedroom apartments fuse together spaces in which to work, relax and entertain. A fully equipped kitchen and gleaming bathroom complement the modish living and dining areas, giving you everything you would expect to find in your own home. Whether you're looking for a base from which to explore the local area or to extend your working day, you'll always have the option of idling in king size beds or relaxing with satellite television. Allowing you to enjoy your stay the way you want to, these apartments offer convenience and freedom that few hotels can rival. Close to the centre of Derby, this newly refurbished guesthouse offers reasonably priced, comfortable, clean private rooms and friendly and helpful multi-lingual staff. Within easy reach of East Midlands Airport and with a great central location, East Midlands Guest House is an excellent base for those visiting the region. Derby is a good starting point for many tourists, as there are great attractions in the surrounding region; The Peak District and Nottingham - home of the legendary Robin Hood. Derby also has one of the largest shopping centres in the East Midlands - Westfield, which is a very modern and impressive shopping facility. All of the rooms are newly decorated with double-glazed windows for a comfortable stay and all have televisions. Wireless connection is also available throughout the building for guests with laptops. There is a large on-site parking facility available and the reception is open 24 Hours. 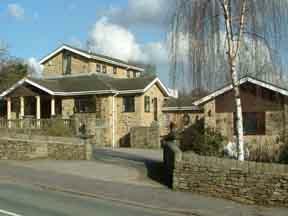 Fern Cottage is a delightful bed and breakfast guest house nestling in the heart of the Peak District National Park. The stone cottage lies at the very centre of the picturesque village of Castleton. It is the ideal location for hiking, cycling, sports or just a relaxing break. There's a warm welcome for guests and all rooms are maintained to the highest of standards. Most rooms have an en suite bathroom. There is a private garden for guests. 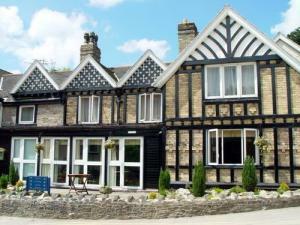 On the A619, just off junction 30 of the M1 motorway, the hotel makes a great base from which to visit the Peak District, Sheffield and Nottinghamshire, with free parking and comfortable en suite rooms. The Ibis Sheffield South is situated in the quiet village of Barlborough, just 5 miles (8 km) from Chesterfield town centre. The hotel offers easy access to the M1 motorway and Robin Hood Airport Doncaster Sheffield. There is free car parking with closed circuit TV surveillance for added security. 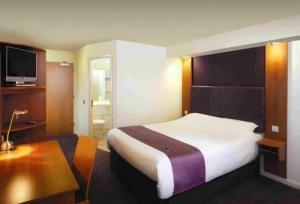 All of the en suite rooms have TVs and internet access is available at an additional cost. There is a restaurant and a snack bar open 24 hours a day. Situated at the centre of Buxton, this grand Victorian hotel has a swimming pool and beauty salon. It is about 300 metres from the train station. Buxton's only 4-star hotel has modern facilities, comfy rooms, a restaurant and parking (at an additional cost). Cavendish Golf Club is 800 metres away, and the hotel is well-located for exploring all the beauty of The Peak District.